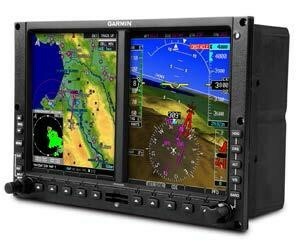 Maxcraft Avionics Receives FAA AML STC for Garmin G500H Flight Display for Airbus Helicopters | Avionics Blog – Avionics to the Max! Vancouver, BC, July 28, 2015 – Maxcraft Avionics Ltd announced today that it has been awarded an FAA Approved Model List (AML) Supplemental Type Certificate (STC) for installation of the Garmin G500H Flight Display System in a series of Airbus (Eurocopter) light helicopters. This STC is unique in that it also includes installation approval for supporting and optional systems including: Garmin GTN650, GTN750, GNS430W or GNS530W as the primary GPS/NAV/COM, Garmin SL40, GTR225 or GNC255 as No.2 VHF COM (optional), Garmin GTS800 Traffic Advisory System (optional) and Freeflight RA-4500 Radar Altimeter System (optional). Having all of these systems included in one approved data package greatly simplifies the installation and ongoing support. STC (SR03539NY) currently includes Airbus Helicopters models: AS350B, AS350Ba, AS350B2, AS350B3, AS350 BA, AS350D, AS355E, AS355F, AS355F1, AS355F2, AS355N, AS355NP, EC120B and EC130B4. Approval for the EC130T2 model is expected by Q4 2015. Maxcraft’s president, Daryl MacIntosh described this STC package as the most comprehensive approved avionics upgrade currently available for light helicopters. He also noted that traditional back up instruments can optionally be eliminated with installation of the Mid-Continent MD302 Standby Attitude Module recently approved under Maxcraft’s FAA SR03524NY STC. Maxcraft specializes in avionics design, installation, and maintenance. Its design services group is among the most professional in Canada, and holds an extensive catalogue of exclusive STCs. Maxcraft’s client base includes operators for all types of aircraft including private, commercial, business, charter, corporate, airline, police, military and air ambulance. As an AMO its state-of-the-art shop facilities provide full service support to the private and commercial fixed wing market as well as the helicopter sector. Maxcraft Avionics can be found on the web at www.maxcraft.ca or may be reached at 604-465-3080. This entry was posted in Avionics News and tagged Airbus Helicopters, AS350B, AS350B2, AS350B3, AS350Ba, AS350D, AS355E, AS355F1, AS355F2, AS355N, AS355NP, EC120B, EC130B4, EC130T2, FAA, FAA SR03524NY STC, Freeflight, G500H, Garmin G500H Flight Display System, Garmin SL40, GNC255, GNS430W, GNS530W, GPS/NAV/COM, GTN650, GTN750, GTR225, GTS800, MD302, Q4, RAS, S355F, STC, Supplemental Type Certificate, Vancouver, VHF COM. Bookmark the permalink.